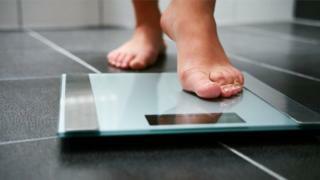 The Department of Health is considering setting up Northern Ireland's first dedicated weight-loss surgery unit. An assessment will be carried out into whether or not the unit should be created in Enniskillen. Weight-loss surgery is sometimes used to tackle health conditions in very obese adults and, until now, it has not been provided within NI's health service. In 2017/18, almost two-thirds of adults in NI were overweight or obese. The Department of Health (DoH) said the total estimated direct and indirect costs of people being obese and overweight in Northern Ireland rose to £457m in 2015/16 - up from £268m in 2009/10. In 2017/18, 64% of adults in Northern Ireland were either overweight or obese, along with 26% of children. It said that while managing obesity through a healthy diet and exercise remained the best approach, there was growing evidence that in some cases weight-loss surgery - also known as bariatric surgery - could be used as an effective treatment. It highlighted its use on adults who have been diagnosed with other health conditions, such as type 2 diabetes, and are considered clinically appropriate for treatment. There are several types of weight-loss surgery, including a gastric band, gastric bypass and sleeve gastrectomy. A DoH planning group will assess population need for such a service, develop a bariatric service specification and examine the capability of the South West Acute Hospital in Enniskillen, County Fermanagh, to deliver the service. Consultant surgeon Mark Taylor, who is one of those heading the group, said that for "far too long" the bariatric surgical service had not been provided within Northern Ireland's health service. "That is for those patients who have morbid obesity, very, very, high BMI (Body Mass Index) with associated complications such as diabetes type 2, so this is a really welcome piece of news," he said. "The surgery has been available on a limited aspect privately, but has not been available to this point on the National Health Service." Mr Taylor said he was "confident" the service would be "up and running" by the start of 2020. He said that while it was proposed that the surgery would take place in Enniskillen, there were plans for several centres to assess patients before and after it was carried out. DoH permanent secretary Richard Pengelly said the announcement was a "clear signal of intent". "Obesity is one of the most important public health issues facing Northern Ireland today," he said.